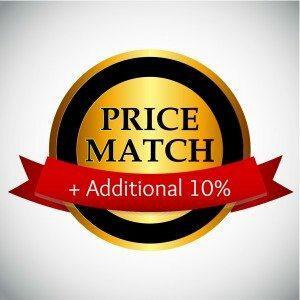 Not only will we price match the best price you have found on identical services Indy Laser offers at our local reputable competitors, we will give you an additional 10% off of qualifying purchases. Identical services to the reputable competitor’s services, using similar equipment. When making a purchase, please notify us of your price match request. The price must be a written offer offered by a local reputable competitor and valid within the last 60 days to price match. A local reputable competitor for purchases is a service provider authorized to perform cosmetic and/or laser services and is located in the same market area (within a 30-mile radius) of Indy Laser. Bring in your written offer from a local reputable competitor at the time of service. Does Indy Laser match the price if it results in a price being below Indy Laser’s cost on a service? Yes. So long as the price match requested is on an identical immediately available services and all other price match criteria are met. Does Best Indy Laser match “free gift with purchase” offers? YES! We do price match “free gift with purchase” orders as long as it’s on a comparable service. You can see a complete list of our prices here!